On Thursday, N.C. Modernist Houses announced the winners of its annual statewide modernist residential design contest. The big winner of the 2016 George Matsumoto Prize contest is Will Alphin of Alphin Design Build. 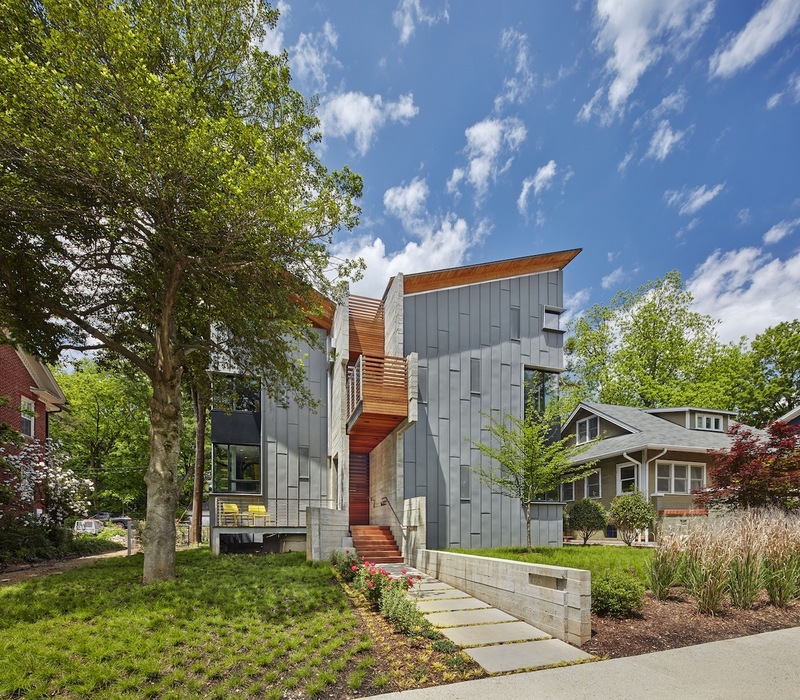 Alphin took home the first-place prize in the juried competition for a four-level house in Raleigh’s Cameron Park neighborhood. That house, 123 Hillcrest, a 6,200-square-foot house valued at about $1.6 million, also won second place in the people’s choice category. Alphin received $3,000 in prize money. Following close behind were designers with the in situ studio in Raleigh, whose designs placed second and third in the juried competition. 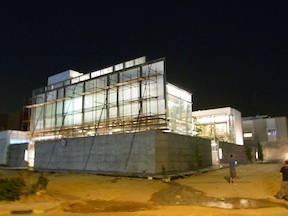 June 24, 2011 (Raleigh, NC) — Construction is nearing completion on Villa Al Bahar, a modern, 22,000-square-foot, four-level glass house in Kuwait City, Kuwait, designed by of Kenneth Hobgood Architects of Raleigh, NC. Designing and building a glass and steel villa that can handle the heat and glare in Kuwait has been challenging, the firm admits. The client, businessman Adnan Al Bahar, discovered Kenneth Hobgood Architects during one of his summer stays in Durham. Impressed by the many modernist houses Kenneth Hobgood has designed, he hired him after one meeting and challenged the firm to create an elegant, modern, state-of-the-art, glass villa for his family. Budget was not an issue. The villa needed to include very generous, and completely separate, spaces for formal entertaining, for the family’s private living space, and for the servants’ living quarters. He also wanted a large garage and workshop for his automobile collection. And the villa had to be fully accessible. The site is flat, extremely sandy, and in an exclusive neighborhood of gridded plats where most villas are built in the center of property. Ignoring that precedent, Villa Al Bahar is comprised of a central glass, steel, and concrete mass with glass wings that wrap around and overlook a central courtyard. “Public” spaces are on the ground level. The family’s private living spaces are on the second level. Women servants will live on the third level and the men servants’ will occupy generous quarters below grade near a huge garage and workshop. A series of glass planes and tubes custom designed by structural engineer Tim Macfarlane of London to function as veils to filter light. A custom-designed stainless steel structural system. Operable wooden louvers to allow an abundance of natural light yet accommodate the family’s need for privacy, modesty, and separation. A grand staircase comprised of three-inch-thick, cantilevered glass risers. An 800-pound glass front door with electro-magnetic lock. Full automation via control panels, and all mechanical systems include back-up systems. The primary interior materials are marble, fine wood, and raw concrete. All casework has been custom designed and crafted. 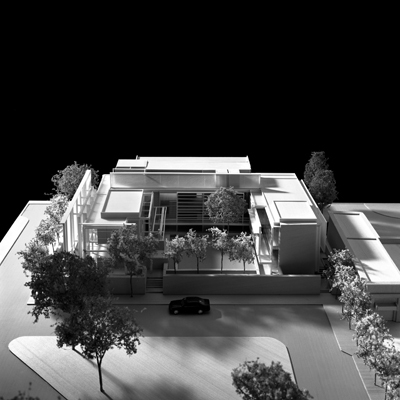 For more information on Villa Al Bahar and other projects by Kenneth Hobgood Architects, visit www.kennethhobgood.com. Kenneth Hobgood, FAIA, founded Kenneth E Hobgood, Architects in Raleigh, NC, in 1992. 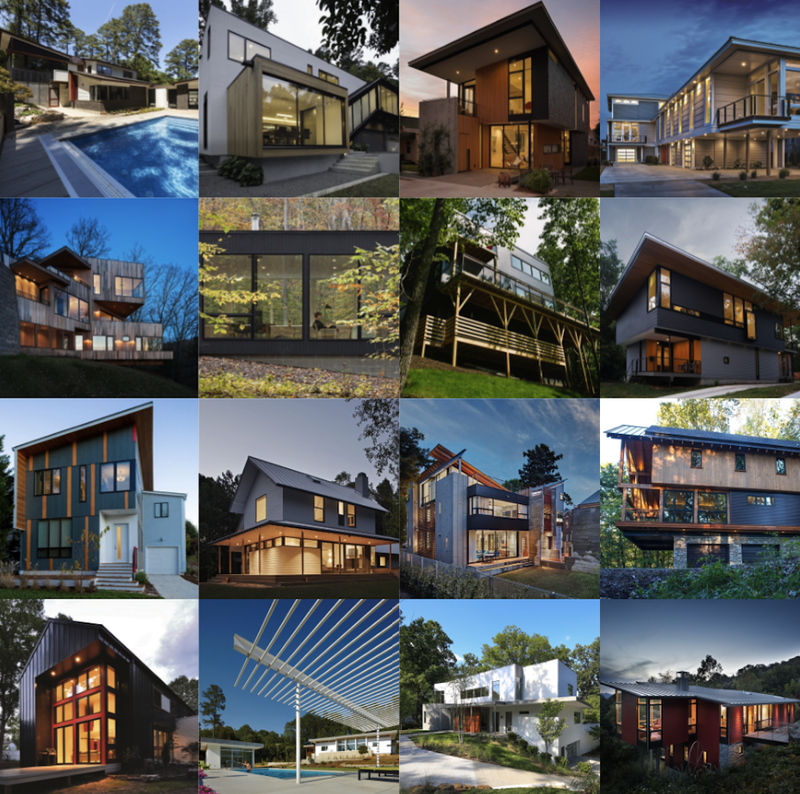 Since then, the firm has received 39 design awards from the American Institute of Architects North Carolina chapter and its work has been published and exhibited in the United States, Japan, Italy, the Netherlands, England and Germany. In 1997, Kenneth Hobgood as awarded the Kamphoefner Prize from North Carolina State University’s College of Design for “consistent integrity and devotion to the development of modern architecture” in North Carolina. He has served as a visiting critic at Auburn University, Carnegie Mellon, Georgia Tech, and the University of Kentucky, and as an adjunct professor at North Carolina State University since 1988. For more information visit www.kennethhobgood.com.